Enchant creature Enchanted creature gets -X/-Y. 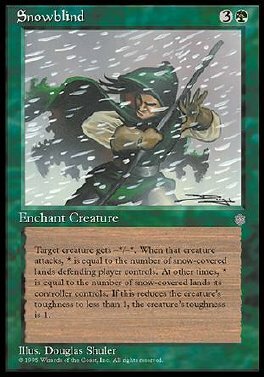 If that creature is attacking, X is the number of snow lands defending player controls. Otherwise, X is the number of snow lands its controller controls. Y is equal to X or to enchanted creature's toughness minus 1, whichever is smaller.